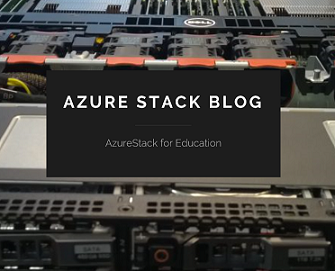 Categories: Azure, Hyper-V, Microsoft Azure, System Center 2012 R2, System Center 2016, Windows Server 2012 R2, Windows Server 2016, WindowsAzure | Tags: Azure, AzureBackup, Backup, DisasterRecovery, DPM, HybridCloud, Microsoft, SCDPM, sysctr | Permalink. 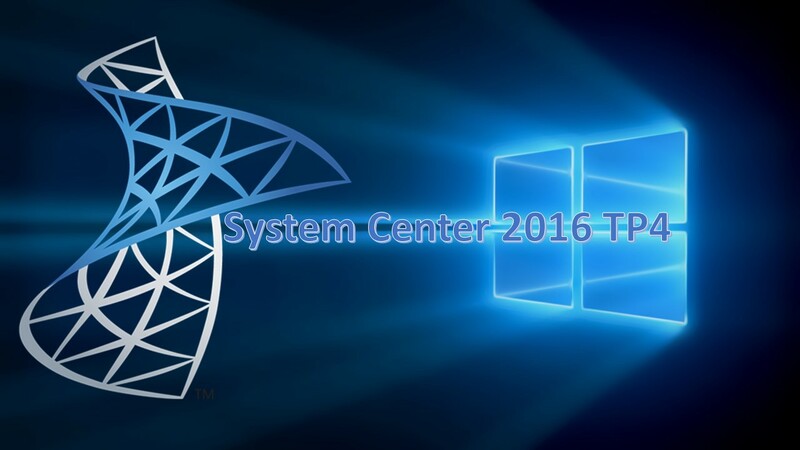 Categories: OMS, System Center 2016, System Center vNext | Tags: DPM, SCDPM, SCOM, SCVMM, sysctr | Permalink. 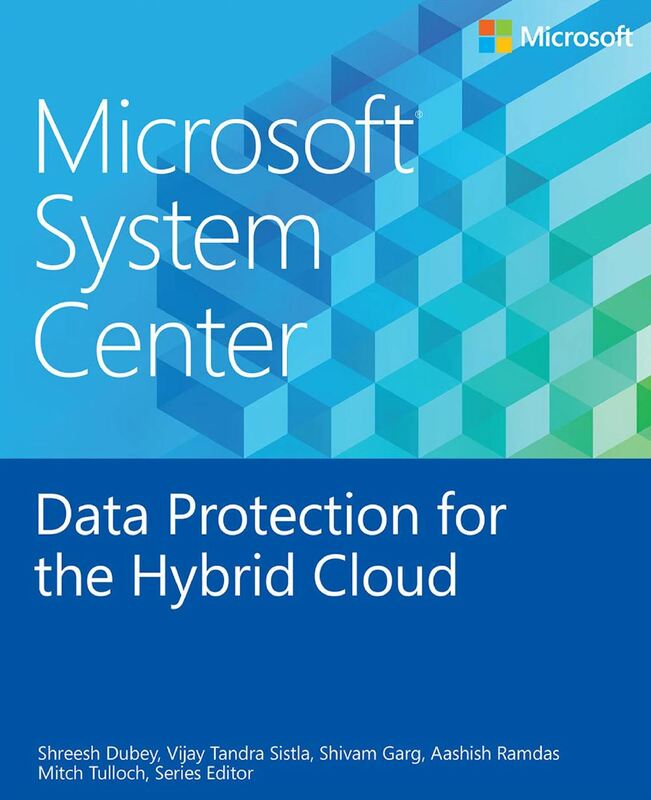 Microsoft is happy to announce the release of their newest free ebook, Microsoft System Center Data Protection for the Hybrid Cloud (ISBN 9780735695832), by Shreesh Dubey, Vijay Tandra Sistla, Shivam Garg, and Aashish Ramdas; Mitch Tulloch, Series Editor. If you are responsible for architecting and designing the backup strategy for your organization, especially if you’re looking for ways to incorporate cloud backup into your business continuity scenarios, this book is for you. With the increasing trends in virtualization as well as the move to the pubic cloud, IT organizations are headed toward a world where data and applications run in on-premises private clouds as well as in the public cloud. This has key implications for data protection strategy, and it is important to choose the solution that provides the same level of data protection you have afforded so far while allowing you to harness the power of the public cloud. 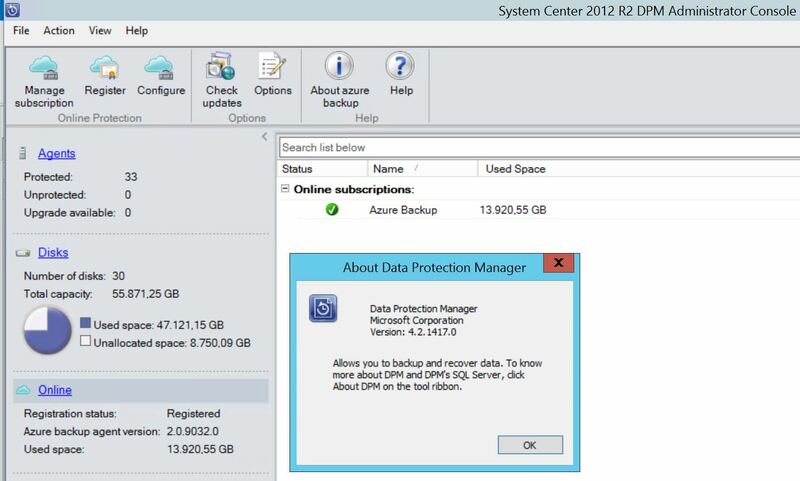 Categories: Azure, SCDPM2012, System Center 2012 R2, System Center 2012 SP1, WindowsAzure | Tags: Azure, AzureBackup, DPM, Ebook, SCDPM, sysctr | Permalink. 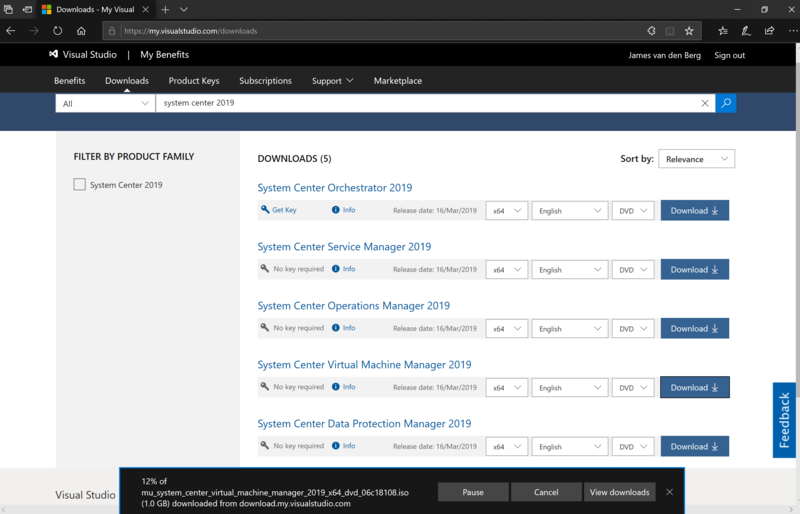 This download contains the management pack files (*.MP) required to monitor and generate reports on Data Protection Manager (DPM) Servers centrally using System Center Operations Manager (SCOM). 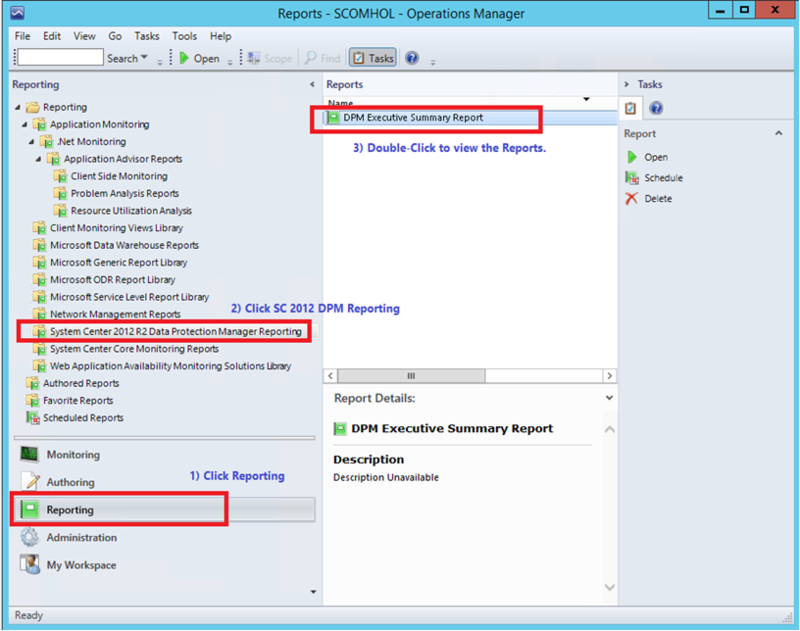 The management guide document (*.docx) also provided with this download contains detailed instructions on how to set up, configure, deploy reporting centrally on the Operations Manager server and how to use the new enhanced extensible DPM Reporting Framework to generate custom aggregable reports. 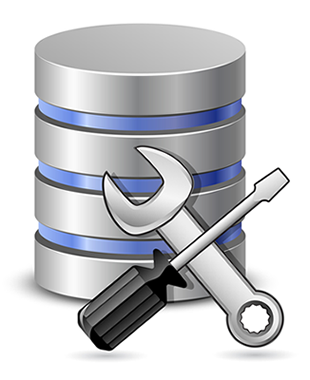 SC OpsMgr 2012 R2 is required to be installed and running. 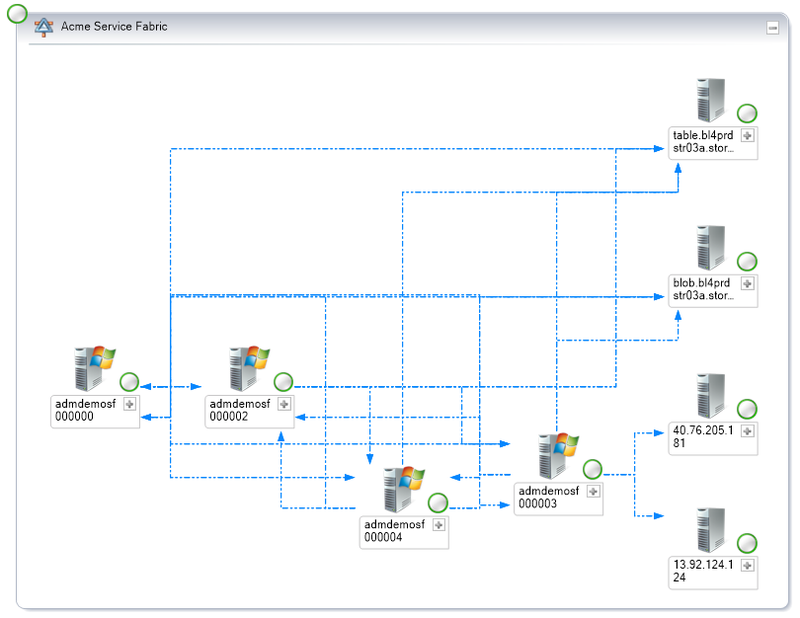 Categories: System Center 2012 R2 | Tags: DPM, SCDPM, sysctr | Permalink. Microsoft is writing a series of three blog posts to cover three areas and will point to an existing post for the final piece. This will be broken down into an approach that starts by checking the database consistency, followed by a look at fragmentation (or eliminating it) to optimize performance. 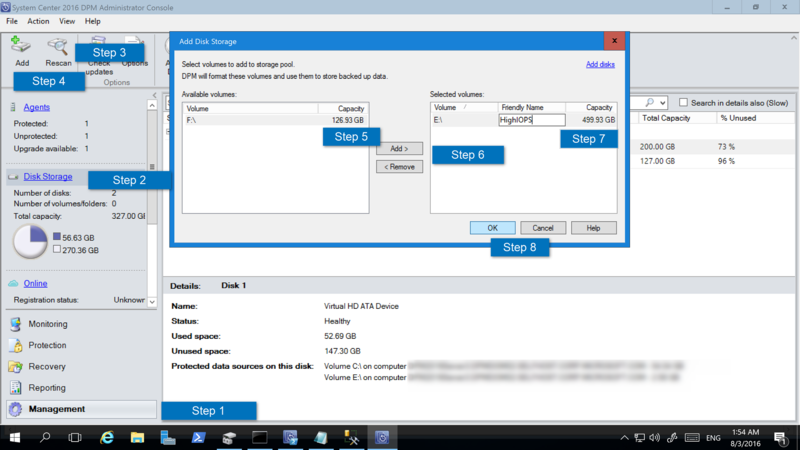 Third, Microsoft makes sure there is no extra growth and that it is sized optimally, and lastly, we talk about backing up the DPMDB in order to have a good copy available should it ever be needed. 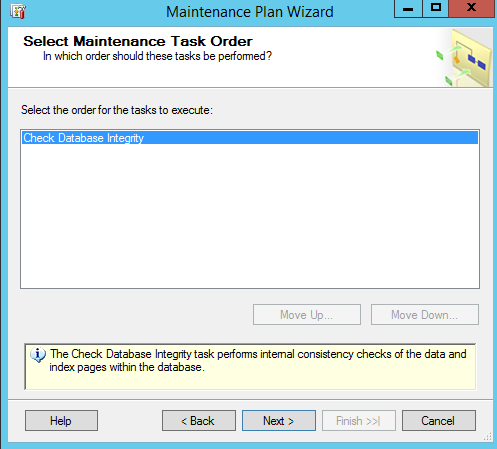 Categories: System Center 2012 R2 | Tags: DPM, Maintenance, SCDPM, SQL, sysctr.Backup | Permalink. 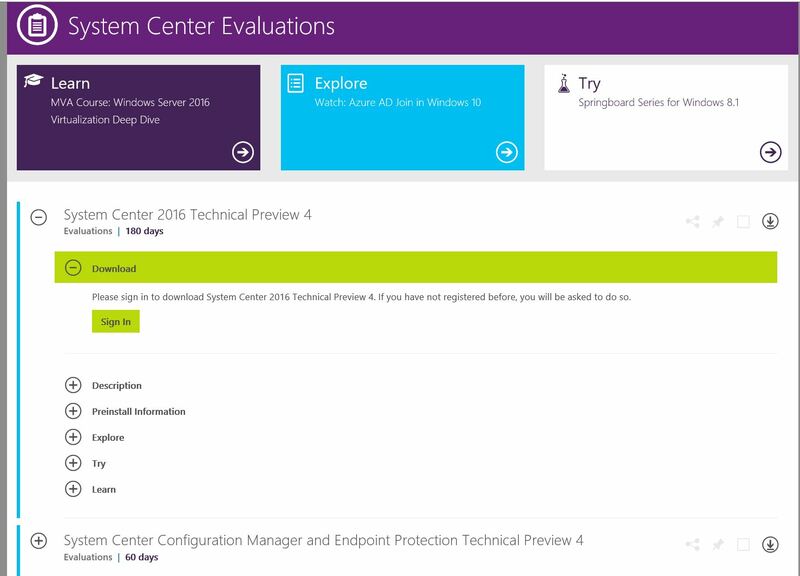 Microsoft is excited to announce the release of Update Rollup 5 for System Center 2012 R2 Data Protection Manager. 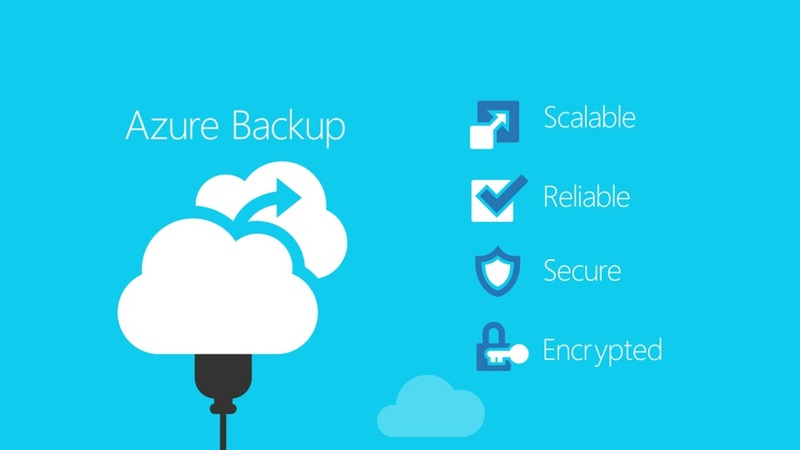 This is a feature-rich release and an important milestone in Microsoft cloud integrated backup vision. In the coming weeks, Microsoft will publish detailed blogs and videos of the new features, keep watching this space for more! Azure is an integral and important part of this update rollup. Every feature of this update has an element of Azure plugged in to it. Customers will experience similar functionality and a more seamless experience irrespective of whether their data is protected locally or to the cloud. 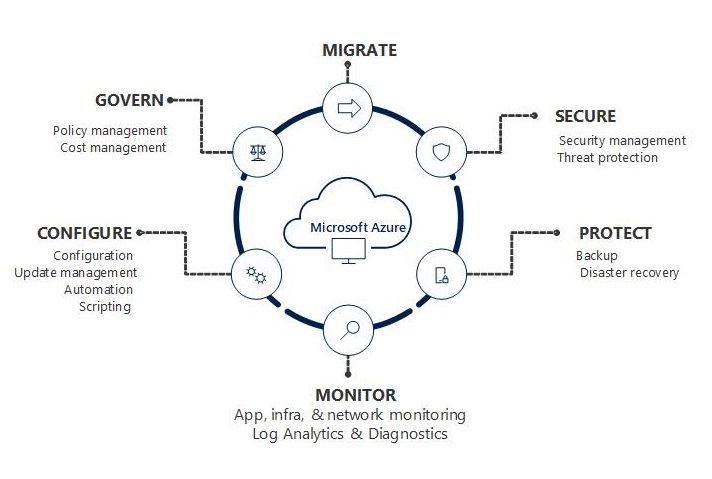 We have enabled more features for customers who are already using Azure for their long term backup & retention needs. 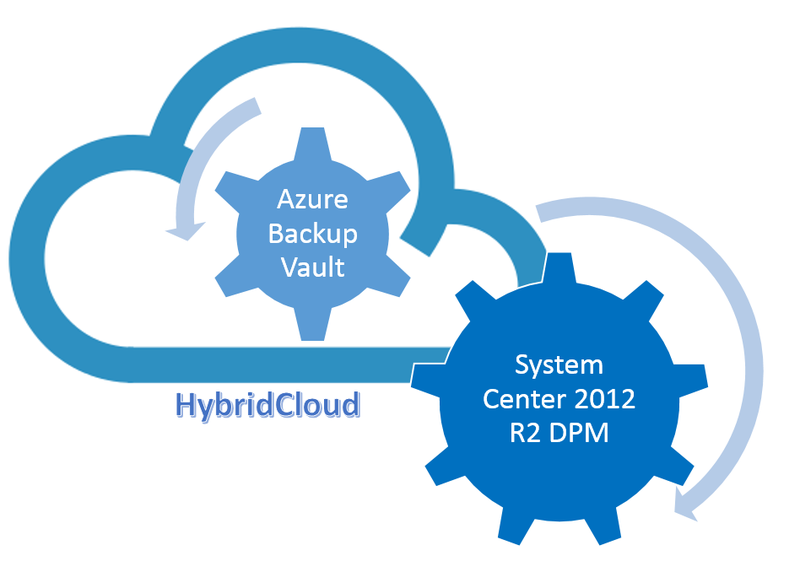 If Azure is not an integral part of your DPM led backup strategy, this release still provides a compelling value prop. 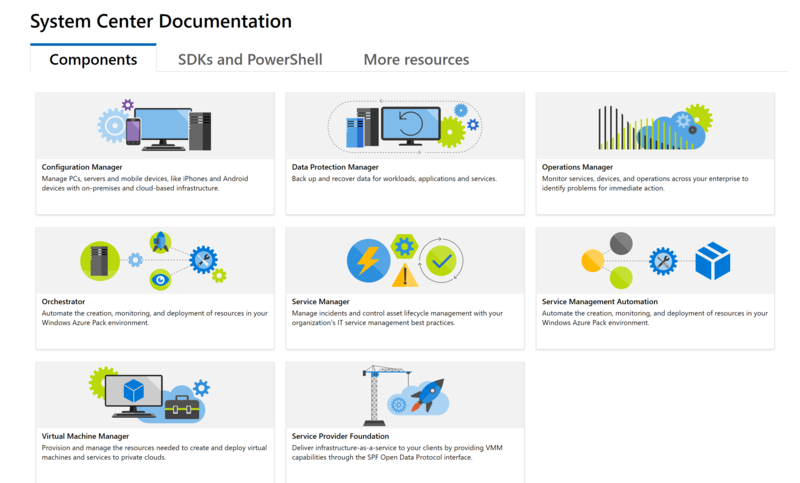 Categories: Azure, Microsoft Azure, System Center 2012 R2, WindowsAzure | Tags: Azure, DPM, HybridCloud, MicrosoftAzure, SCDPM, sysctr | Permalink.